This unique design is a Christmas show stopper for sure. Finished size 22" x 56". 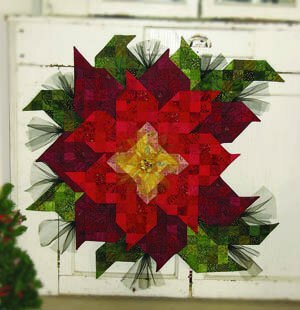 This unique design is a Christmas show stopper for sure. Quick & easy construction. Features fun novelty trim beards & lots of buttons. Nothing says welcome to your home or apartment better than Santa himself. 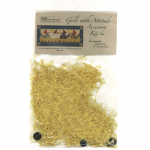 Includes OZsome Accents® Seed Beads, Black Buttons and Gold Novelty Trim. Makes one. An accessory kit for #751 Girls with Attitude Pattern. A piece of cake in a box. 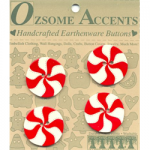 These buttons are sure to help finish off the Topsy Turvy Snowman runner. 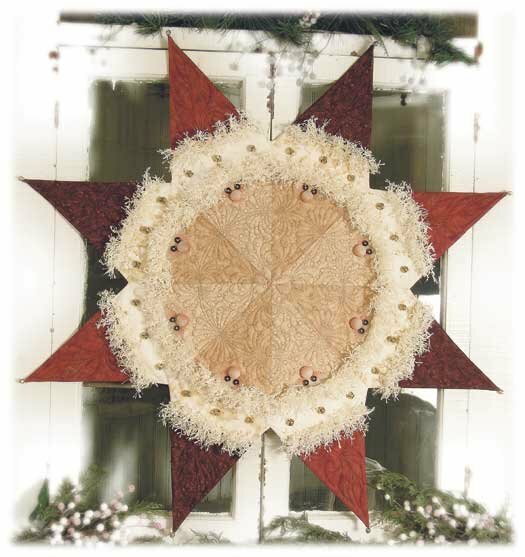 Santa is a "star" with this design! Super easy construction, he features OZsome Accents Novelty Trim. Finished Size 32". 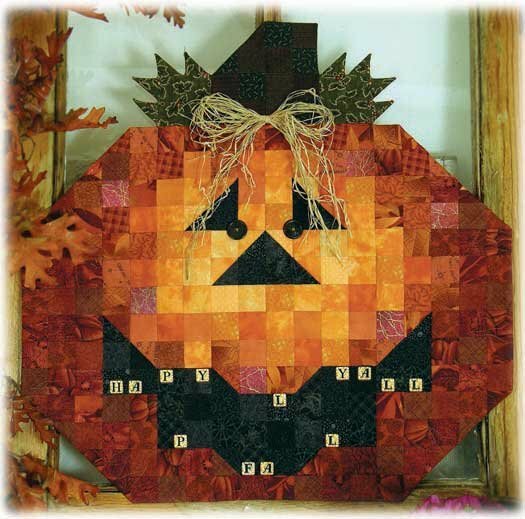 Welcome autumn with this charming scarecrow. Quick & easy project. Finished Size 32". Includes 30" Kraft tube, 33" Novelty Trim, pumpkin buttons, natural jute, button eyes, boot buttons, and overall buttons. Makes one Stick Scarecrow. 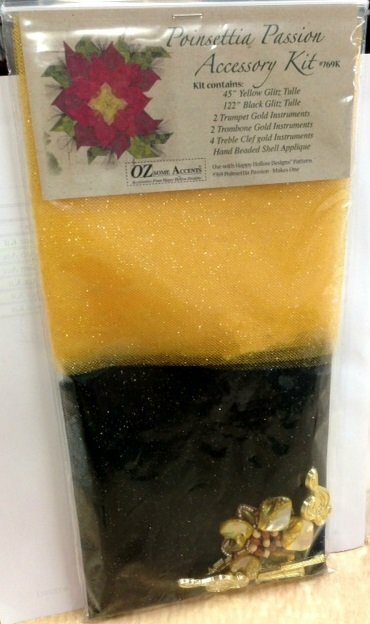 Includes OZsome Accents® Fancy Snowflakes, Black buttons, Yellow buttons, Green buttons, Red Buttons and Miniature Christmas Light String. Makes one. 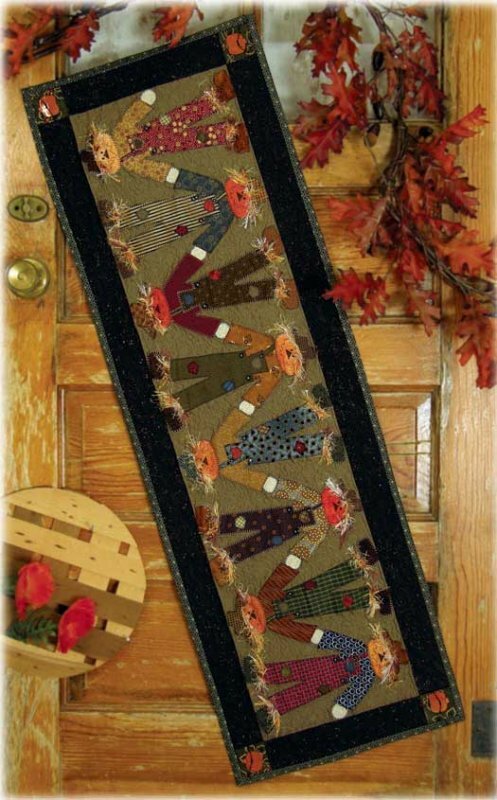 Topsy Turvy Moose North Woods Greeter Accessory Kit from Happy Hollow Designs For use with Topsy Turvy Moose North Woods Greeter pattern A26868, NOT included. 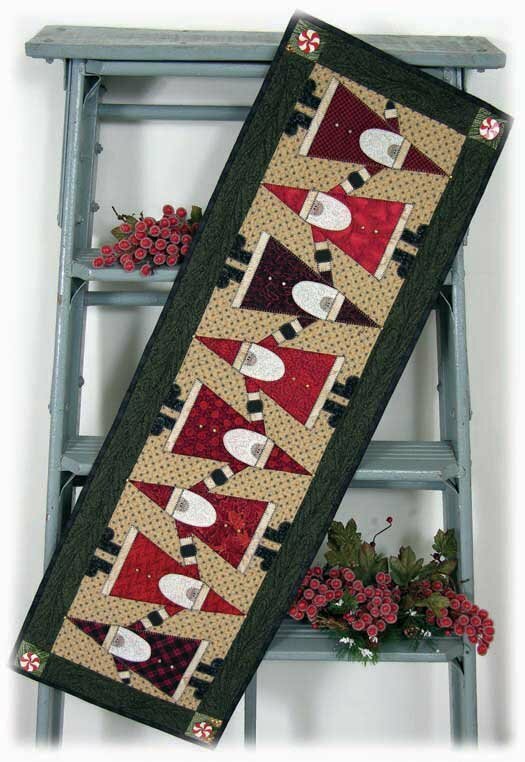 Christmas is on the way with this whimsical Santa table runner. 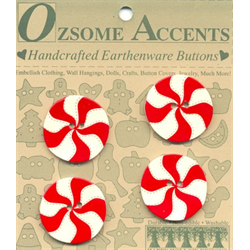 Features OZsome Accents Handmade Peppermint Candy Earthenware Buttons. Quick and easy applique project. Finished size 15 by 44 inches. 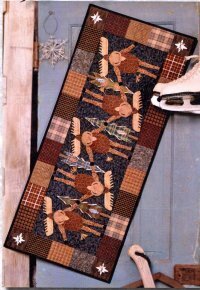 This festive fall runner is a perfect addition to any table. Pattern contains directions for both no-sew or machine applique techniques. Features handmade pumpkin buttons and fun novelty hair. Finished size 15"x 46". Contains 16 black 1/4" buttons, 8 black mini buttons and 9 yards specialty novelty hair. Makes one. These adorable snowmen will delight guests of all ages. 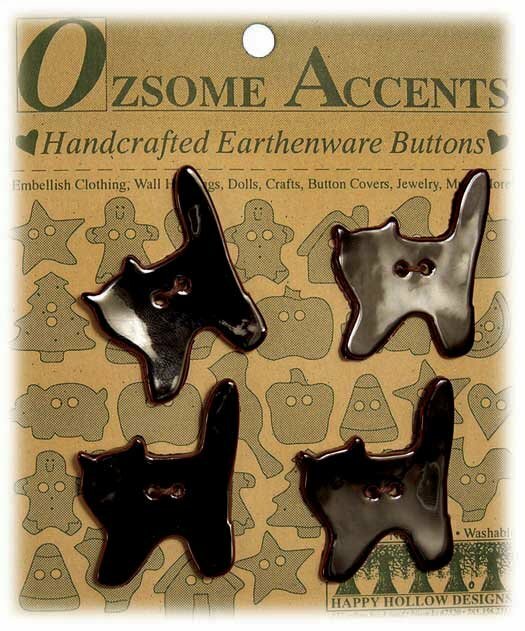 Features OZsome Accents Handmade Sparkling Snowflake Buttons. Finished size 14 inches by 42 inches. 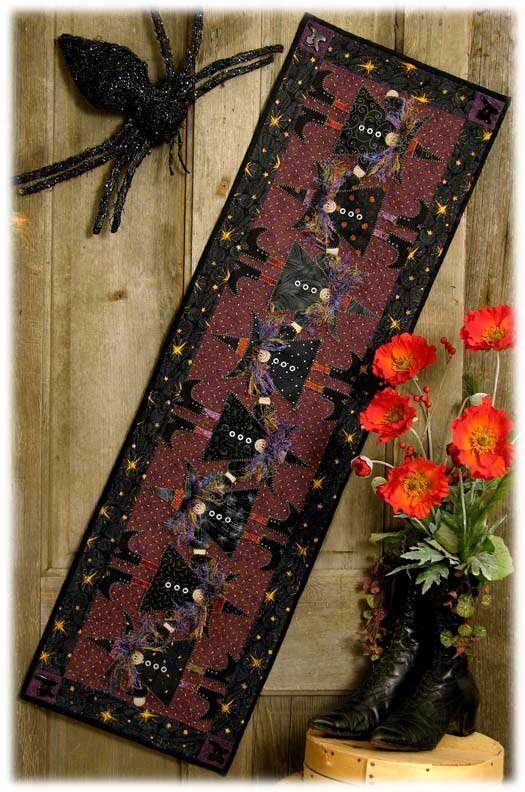 Any witch way you view this runner it's sure to bring a smile to your face. 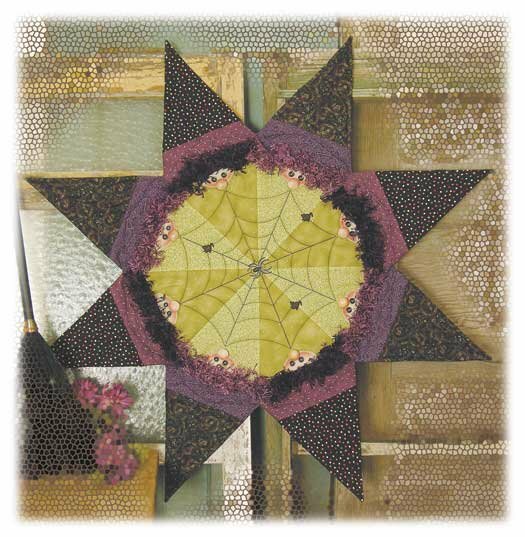 Machine applique or for no-sew applique simply cut shapes and fuse with iron. Features novelty trim hair for a funny touch. Finished size 14 X 46 inches.